This time of years the long summers days and the fact that most people are on holiday (and I say most because not everybody is as fortunate as the rest of us though) give one the opportunity to get out and do some outdoorsy stuff. As the last post for 2012 I decided to post a view of the magnificent coastline on the Sacramento Trail between Schoenmakerskop and Sardinia Bay. The trail is only about 4km each way making a total of eight which is easy to walk either early in the morning or late afternoon. Don't party too hard tonight now you hear. 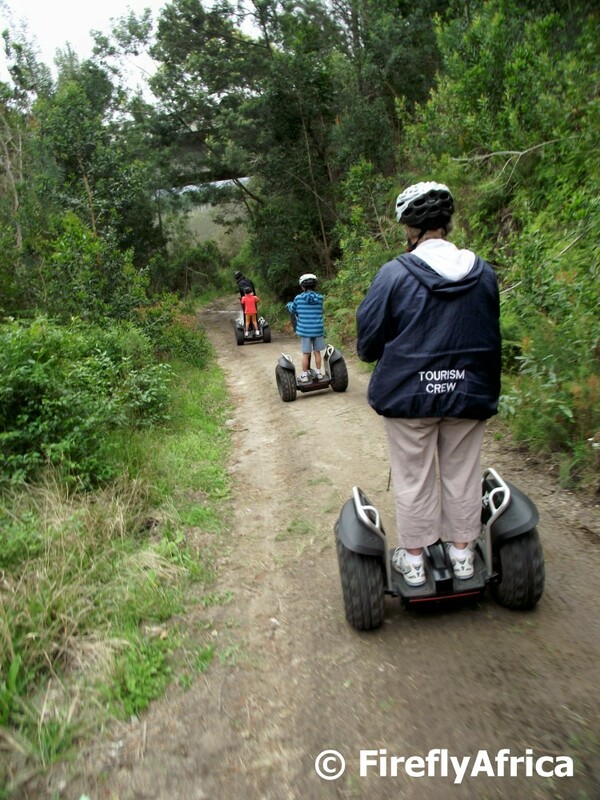 One of the newest attractions in the Tsitsikamma is the Segway Tours that starts in Storms River Village. After a short introduction and a training run on the lawn, the tour heads out through the village before entering the edge of the forest and the adjoining pine plantation. Family Firefly absolutely loved the experience and even though the minimum age is 10 the guide allowed my 7 year old Drama Princess to go, holding on to her segway just about every step of the way. He was brilliant. In my book the Tsitsikamma National Park is one of the most beautiful places in South Africa. Indigenous forest, deep gorges and sheer vertical cliffs reaching down to black rocks being battered by the Indian Ocean. A shoreline enviable by many other places. The Tsitsikamma National Park was proclaimed in 1964 and became the first marine protection area in Africa. 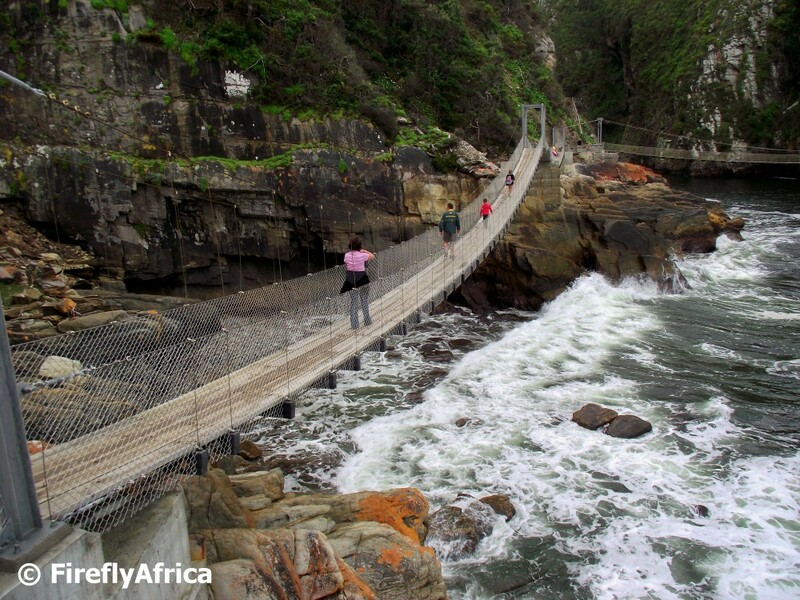 Today it's one of the most visited places on the Garden Route with most visitors opting to do the 1km walk to the Storms River mouth and the three suspension bridges. The Treetops Canopy Tour in the forest at Storms River Village was the first forest zipline experience of its kind in South Africa and over the years has developed into an activity that one just cannot miss when in the area. 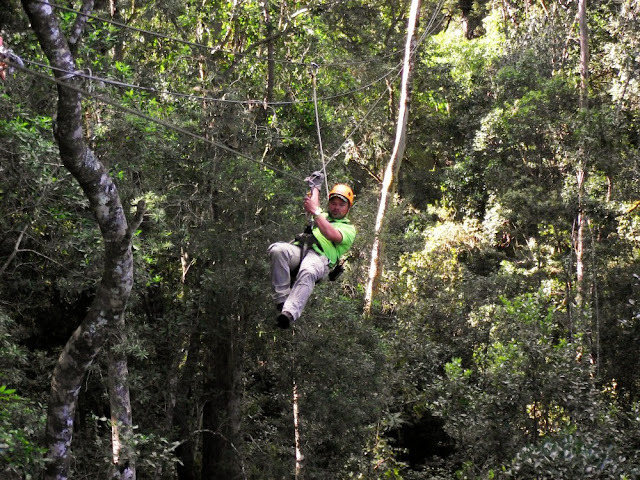 The Treetops Canopy Tour consists of 10 "fufi" slides through the indigenous forest. Some of the platforms between the slides are as high as 30 meters up and one gets some magnificent views of the forest during your 2 1/2 hour adventure. 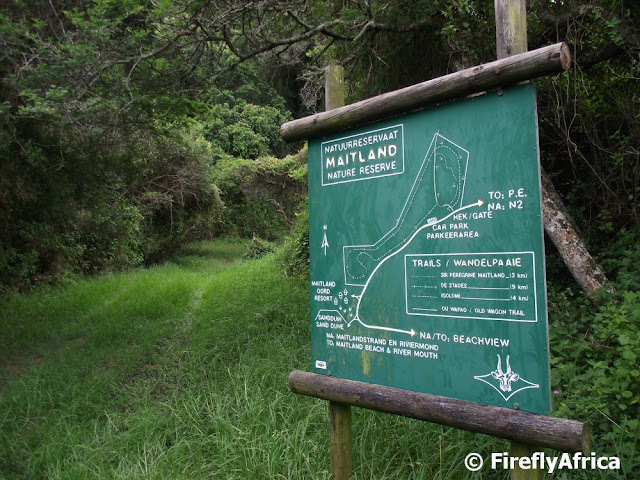 There are numerous short and medium length hikes through the indigenous forests of the Tsitsikamma. 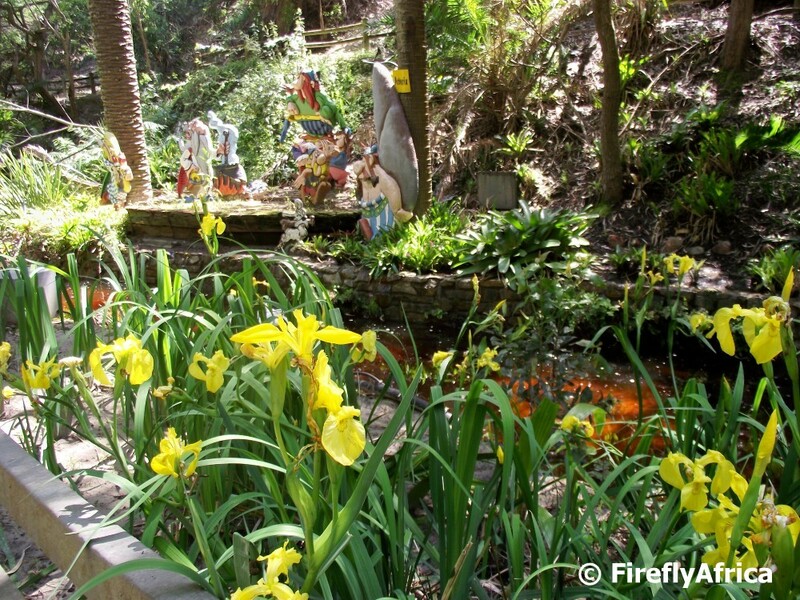 The Plaatbos Nature Reserve next to Storms River Village has some great trails which will take one deep into the forest, over various streams and along the old Storms River pass. The Kidz love the walks with Chaos Boy and Drama Princess normally having a running battle over who should lead the way. 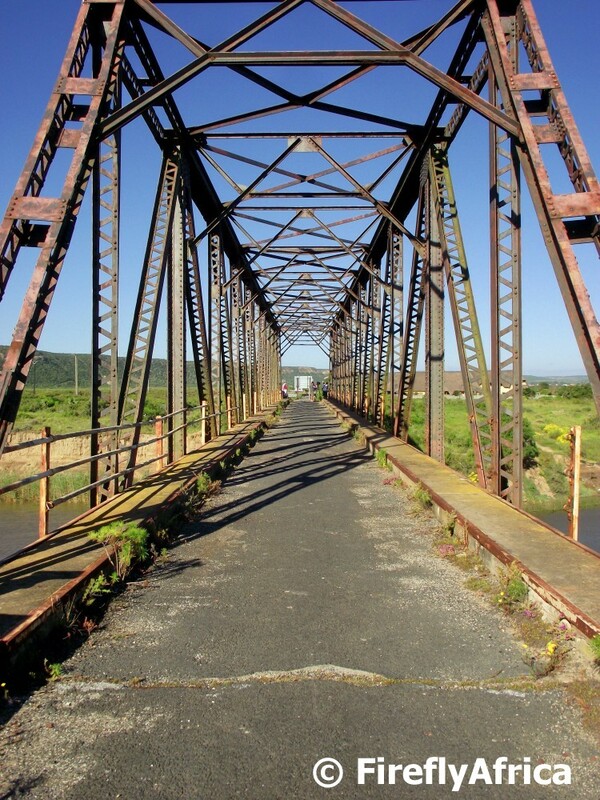 The Tsitsikamma is located on the Garden Route about 160 kilometers west of Port Elizabeth. It's ideal for a weekend breakaway from the city just to go and unwind and as most people are on holiday at the moment I thought it suitable to do a short Tsitsikamma series for this who follow the blog and isn't. A little cyber holiday as to say. 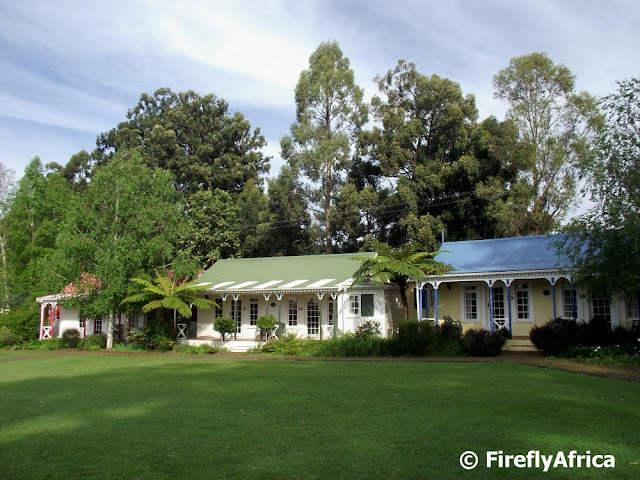 The Tsitsikamma has some fantastic accommodation establishments ranging from hotels and luxury guesthouses to self catering cottages and camping in the Tsitsikamma National Park. My personal favourite is the Tsitsikamma Village Inn in Storms River Village. The hotel is within a couple of minutes' walk from the forest and most of the activities in the village, while the park is only 15 minutes' drive away. Ho, Ho, Ho.... Merry Christmas!!!! Wish you all a fantastic day of love, happiness and spending time with loved ones. Oh yes, don't eat too much. LOL!!! The picture is from the Holmeleigh Farmyard and Nelson Mandela Bay Tourism event of last Wednesday. 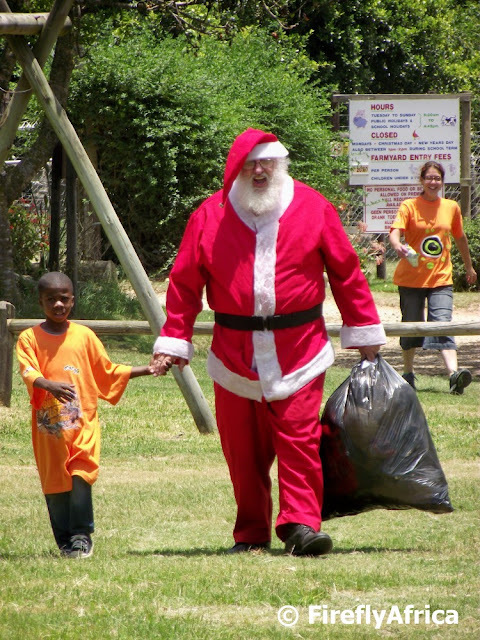 It's Christmas eve and tonight Father Christmas will be visiting many children all over the world. Crawling down chimneys, sneaking in windows or just leaving a gift by the front door. Well, not quite all the children. 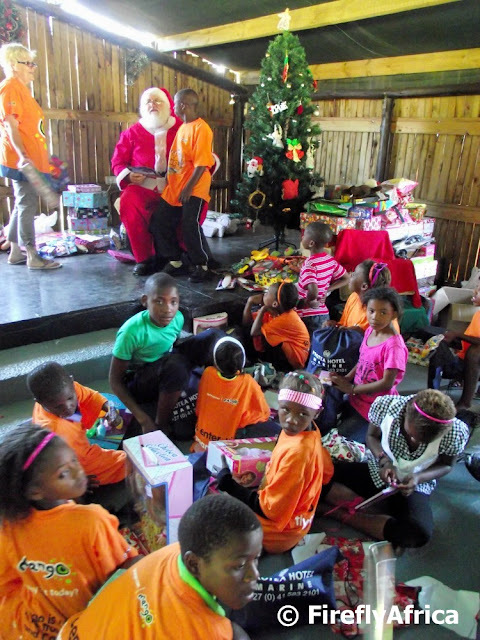 There are many less privileged kids out there that may not be getting a gift this Christmas. On Wednesday Nelson Mandela Bay Tourism and Holmeleigh Farm along with a number of very generous sponsors (and I want to mention musician Wayne Kallis specifically) hosted about 80 kids from various homes around Port Elizabeth for a Christmas party at Holmeleigh Farmyard which included a tour of the farm, something to eat, cold drinks, snacks and of cause, gifts. Lots and lots of gifts handed out by the grey bearded man himself. So not to put a damper on things, but please spare a thought for those less privileged than you when you open gifts tonight or tomorrow morning and next year approach NMBT and see if you could get involved in what will hopefully become a great annual event. The historic Mackay Bridge and old road acorss the Sundays River used to be the main route from Port Elizabeth towards Grahamstown. Today the only traffic crossing it are people on foot and the odd bicycle and motorbike. 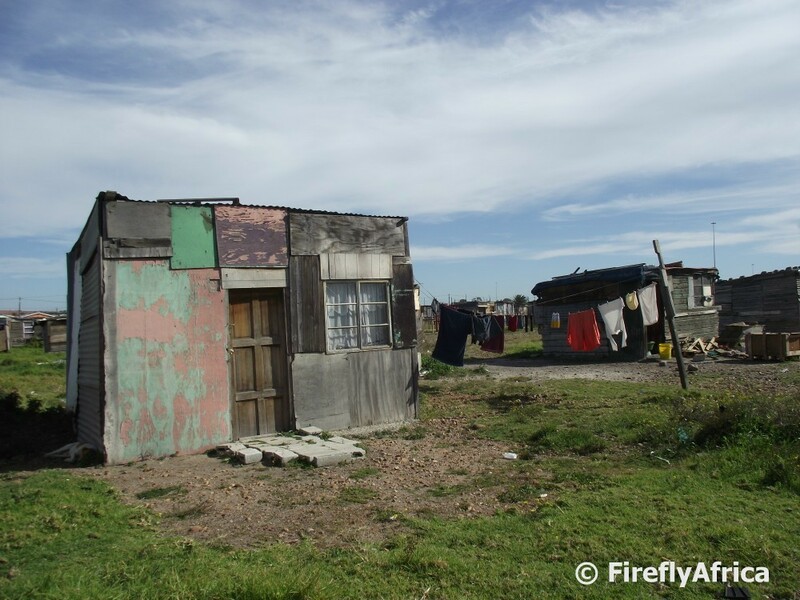 I spotted this little square township shack with its washing hanging outside in Red Location, New Brighton on a recent township tour through Port Elizabeth's townships. I just found it a bit different because it wasn't surrounded by other shacks nor did it have a fence built around it. 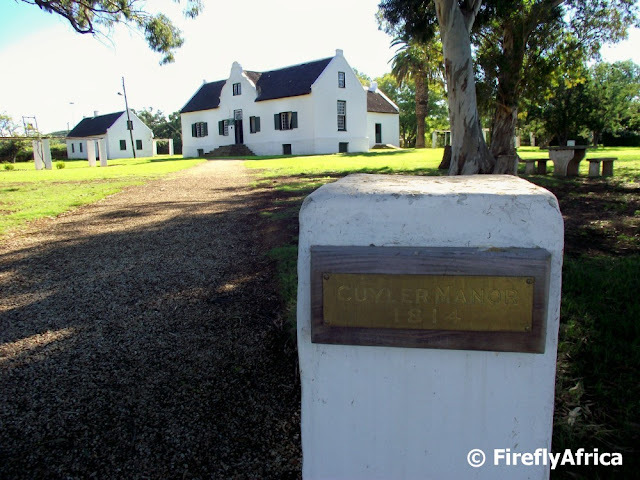 The Cuyler Manor Museum just outside Uitenhage is one of my favorite spots in the town. The manor house was built in 1814 by Colonel Jacob Glen Cuyler who was the Landdrost of Uitenhage from 1806 to 1827. The Cape Dutch style building has been restored and turned into a museum showing how people lived back in the 1800's. 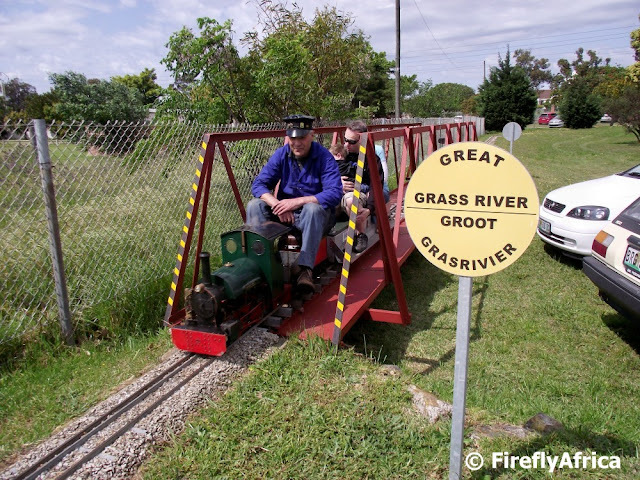 The farmyard around the manor house forms part of the museum complex and include a touch farm, old water mill, a Xhosa shepherd's hut and old ox wagons amongst others. 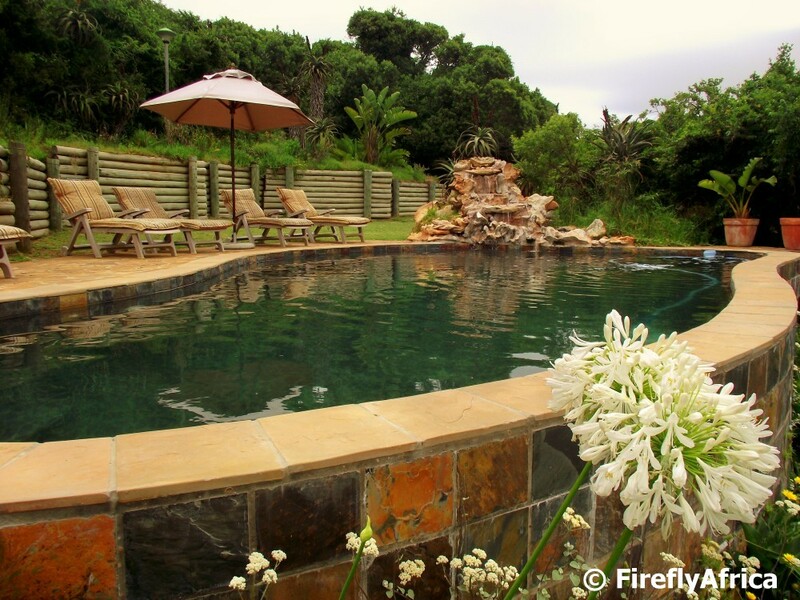 The pool area at Thunzi Bush Lodge near Maitlands west of Port Elizabeth. Just the place to spend a couple of lazy hours this summer. Thunzi does the most amazing picnic lunches where you get a picnic basket full of goodies and can head down to the dam to relax on the lawns with a loved one. I want to try it early in the new year and will give some feedback afterwards. Last week I took the Kidz along on a guided walk following Route 67, organised and hosted by Nelson Mandela Bay Tourism and the Mandela Bay Development Agency. Bay TV's Eye on Art crew covered the walk and at one stage did a couple of interviews with participants. Drama Princess was in the right place at the right time and had the opportunity to make her television debut. I hope its the first of many television appearances for her. Over the last week we've had beautiful summer days each ending in the most perfect evening. One of the best ways to enjoy them is by having dinner in Richmond Hill, specially if you can grab a sidewalk table outside one of the popular Stanley Street restaurants. 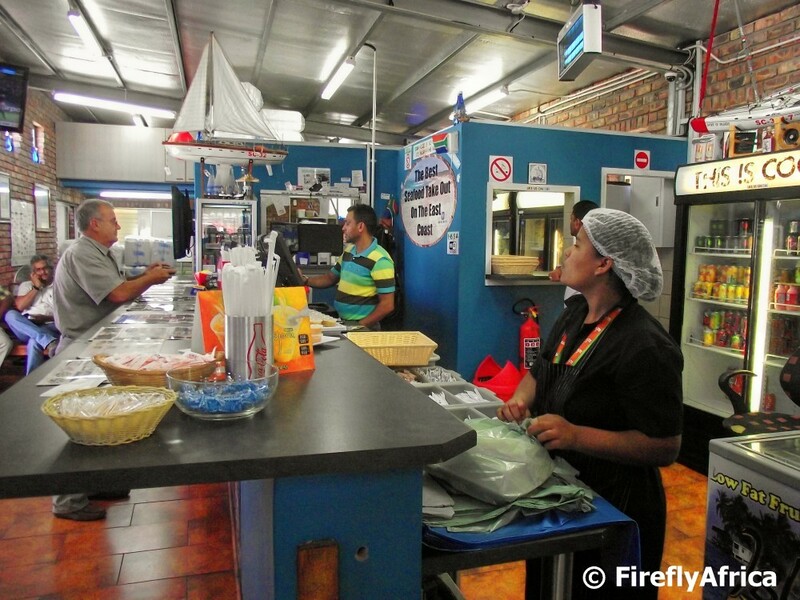 The Red Location (Backpacker) Lodge in New Brighton has a special story to it. I don't know all the details so I will give you the short version of it. The building that the Lodge is situated in used to be a beer hall back in the days. Beer halls led to many men drinking away all their money and getting violent towards women and children and was also the source of a lot of crime in the townships. The women had had enough and burned the beer hall down after which it stood as an burned out shell for many years. A group of women, most who was involved in the burning of the beer hall, wanted to create a better future for themselves and approached the municipality for funding to turn the building into an useful place. 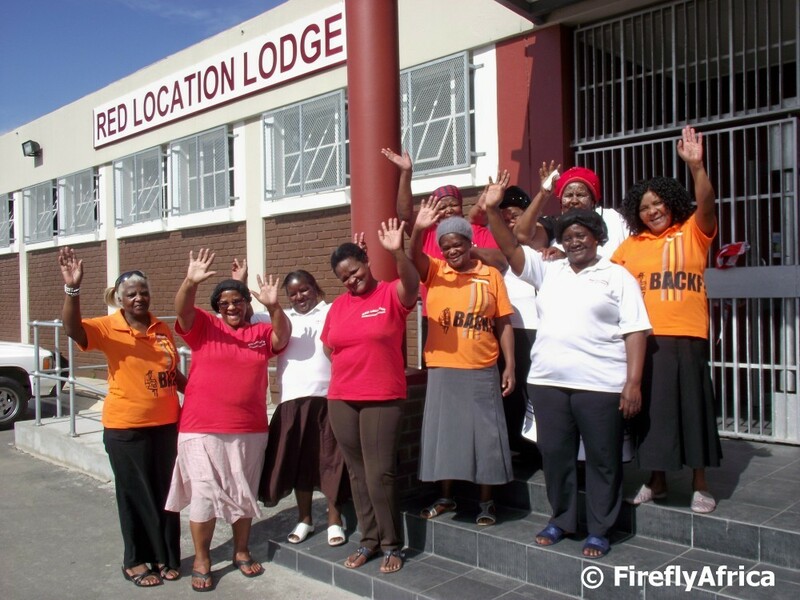 With the development of the Red Location Museum and surrounding precinct next door the municipality agreed and the women formed themselves into a co-op and started working. At this stage the Lodge accommodates mostly school groups but they hope that in future they would become a popular spot for international backpacker travellers as well. Captain Francis Evatt who was commander of Fort Frederick from 1817 - 1847 and amongst others oversaw the landing of the 1820 British Settlers was buried in St Mary's Cathedral after his death. His remains were moved to a grave just outside the north wall of Fort Frederick in 1956. 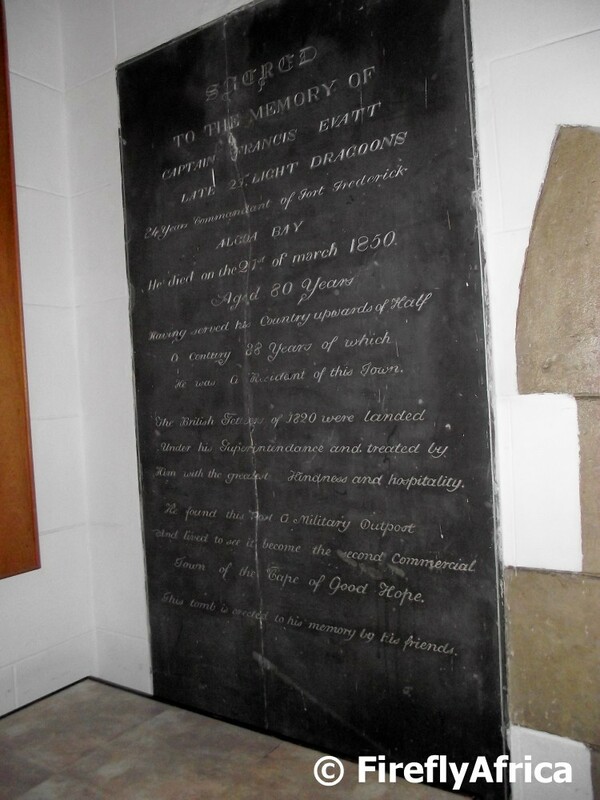 With the moving of his remains to the new grave it was decided to put a replica tomb stone on the grave while the original tomb stone was installed in the cathedral's foyer. I was very impressed with the Maitland Nature Reserve Trail when I got to do it for the first time a couple of weeks ago . Even though it was very overgrown after all the rain we've had these last couple of months its wonderful to be able to walk through the coastal forest and still only be a stone's throw from the city. At its turning point the 9km trail has a couple of view sites down the valley towards the ocean with the giant Maitland dune stretching out to the right. The new Boardwalk Hotel, Spa and Conference Centre officially opens this weekend. I was fortunate to get a sneak peak the other day and was suitably impressed. 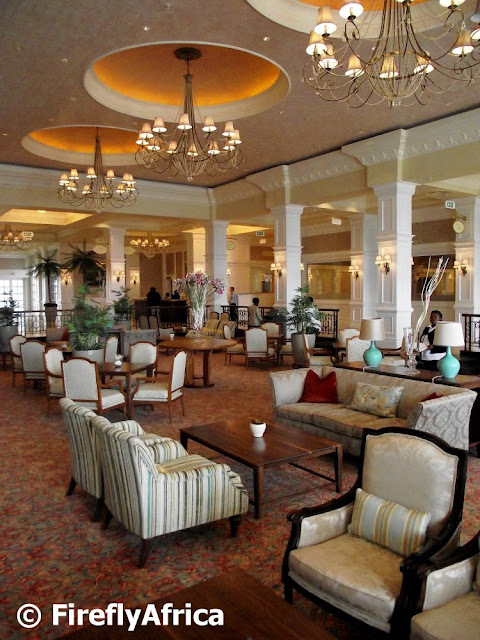 In the picture is the hotel lobby lounge area. A week or so ago I got the opportunity to venture into the Maitland Nature Reserve for the first time. It wasn't that I've never wanted to go there, its more a case that I just never had the opportunity. The reserve is made up of mostly indigenous coastal forest and is located just up the road from the giant Maitland sand dune. 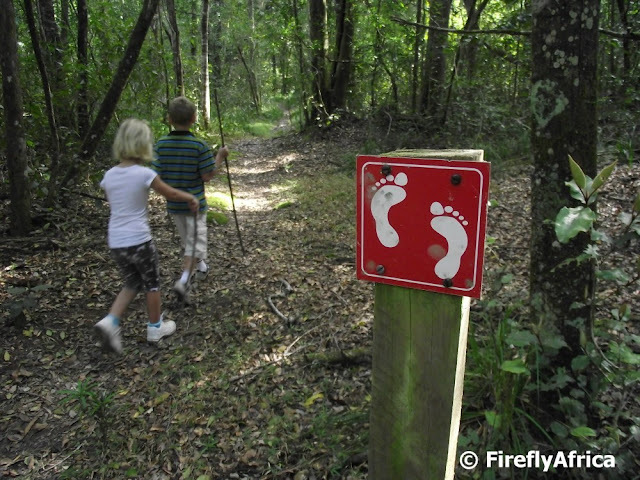 There are two shorter trails (3km and 4km respectively) as well as a longer 9km hike. The short 3km trail is called The Peregrine and is named after Sir Maitland Peregrine who became governor of the Cape Colony in 1844. The Igolomi, Xhosa for Knysna Loerie, is a 4km walk passing through some of the thickest sections of the forest. 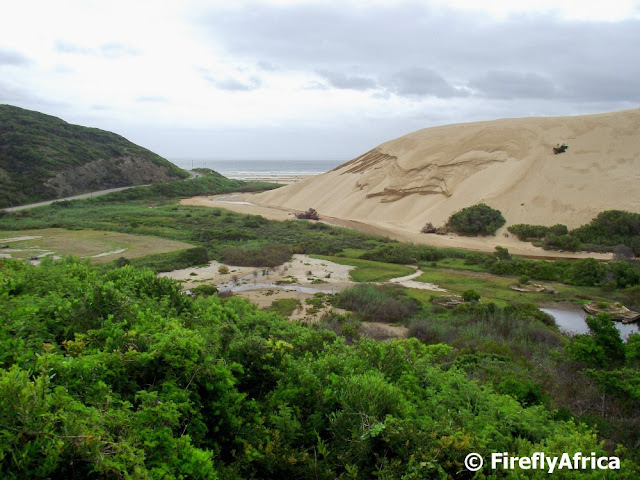 The De Stades is the 9km long trail which at one stage give you a great view of the Maitland dune is named after the river in the reserve. Thanks to Cathy from Dempsey's Guest House who joined me on the trail and who wrote a post called Bushwhacking and tramping through the Maitland Nature Reserve for the above info on the trails. She did her homework and research a bit quicker than me. 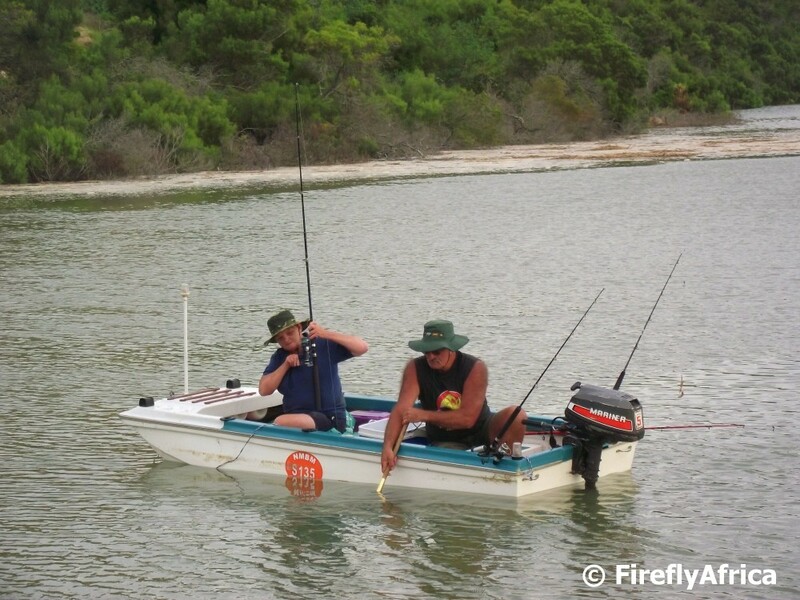 Fishing is a very popular pass time for a lot of people. A way to relax and be one one nature. Me? I'm no fisherman. I just don't have the patience. Sitting there waiting for something that may or may not happen. Perhaps for ten minutes or so, but anything longer, "Bha humbug". Cruising along the Sundays River on the Sundays River Ferry recently we passed a couple fishing from a little motor boat. As we pulled up next to them the lady hooked something and started reeling it in. Les, the captain, stopped the engines and we all stood there with bated breath to see if what she'll pull out. Although the fish wasn't just going to give up that easily the fight was shortlived. After couple of minutes she had him on board and this was followed by a round of thunderous applause from the audience on the ferry. The catch. A fair sized grunter. Well done ma'am. One doesn't have to drive all the way to the Tsitsikamma to be able to cross a suspension bridge. 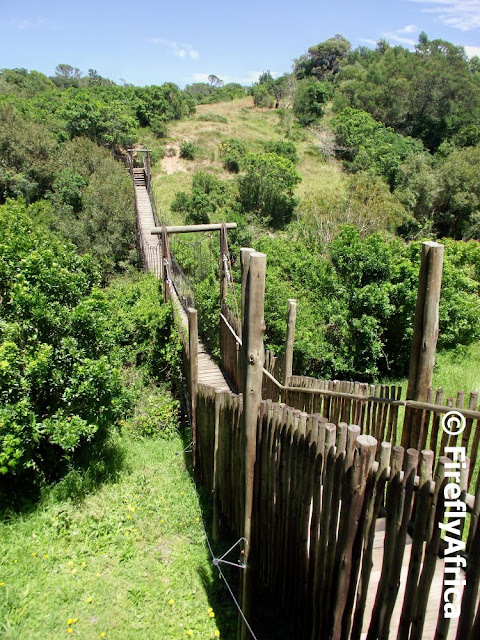 The start of the monkey walk at the Bush Cafe at Kragga Kamma Game Park has its own suspension bridge which crosses a little dam before you go on a short circular loop on a boardwalk. 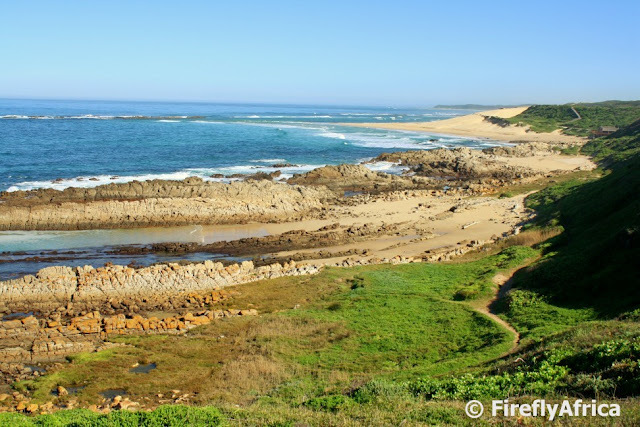 When the first Europeans arrived in Algoa Bay, the Baakens River flowed into a fresh water lagoon where early ships replenished their water stocks from. For some reason somewhere in the past it was decided to lay the lagoon dry and reclaim the land at the bottom of the Baakens Valley. This led to the containment of the river in a narrow channel which floods every time it rains. 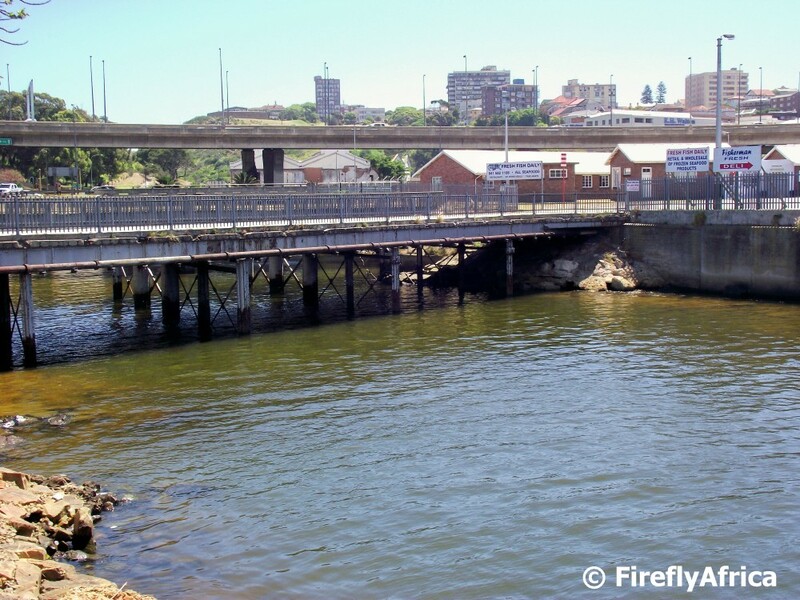 Since the building of the Port Elizabeth Harbour the river has been running into the harbour itself with this being the river mouth. The summer is upon us and soon thousands of sun seekers will be flocking to the beachfront with both locals as well as visitors enjoying the sunshine. One of the places that many will visit is Happy Valley next to Humewood Beach with its story characters and colourful lights in the evenings. 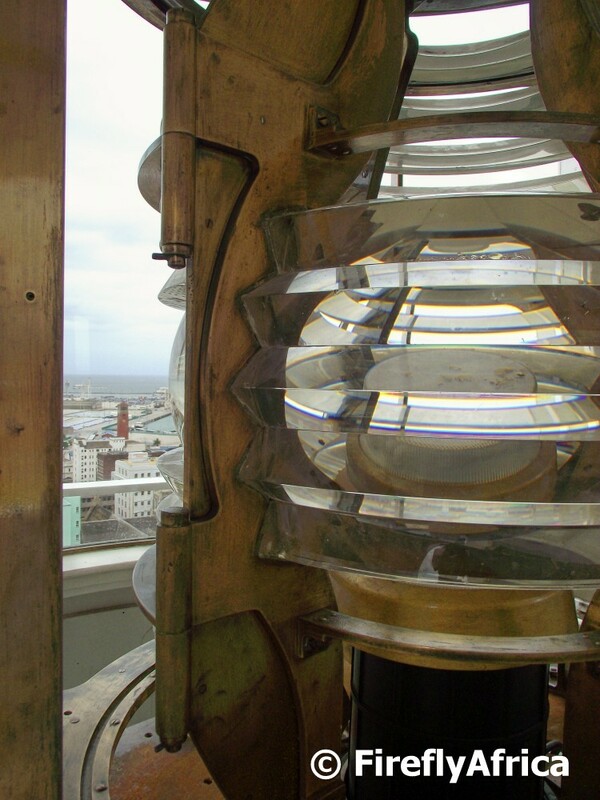 The Donkin Lighthouse (actually called The Hill Lighthouse) was built in 1861 and taken out of commission in the 1970's due to the fact that ships couldn't see the light over the city's lights anymore. I love climbing to the top of the lighthouse cause the view from up there is absolutely stunning and I have taken many photos from up there in the past. Finding myself at the top again this week I realised that I have never taken a picture of the actual light before. So here is the Donkin Lighthouse with the Campanile and part of the harbour visible in the background. Yesterday (Wednesday, 5 December 2012) was the inaugaral flight by Mango Airline into Port Elizabeth with the airline now offering low cost flights between PE and Johannesburg as well as Cape Town. 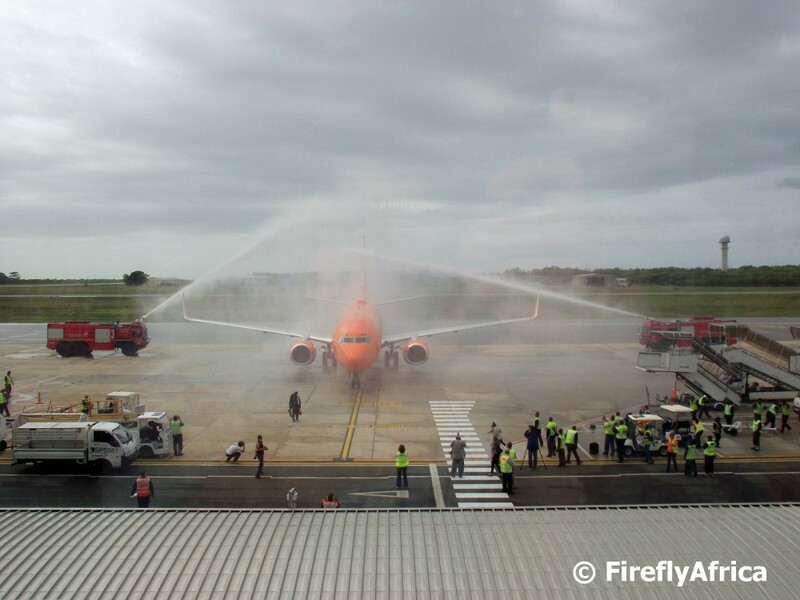 I was invited to the launch function at the Port Elizabeth Airport to see the first flight land although I wasn't able to join the pro togs on the tarmac to get some closeup pictures. The view from the function venue was awesome though when the two fire trucks opened up the water and shot streams of water over her as a welcome. Plus that sent the pro's running with all their expensive equipment. *snicker* Anyway, just show how friendly the Friendly City really is. We even give new arrivals a free "plane wash". I have discovered the most awesome fish and chips shop at the Baakens River entrance to the Port Elizabeth Harbour. There used to be a small fish and chips take-away called Catch 22 which recently expanded into what is now called This is Eat. This is Eat is a typical local fish and chips shop like you would find in the Cape at places like Hout Bay and Kalk Bay harbour. 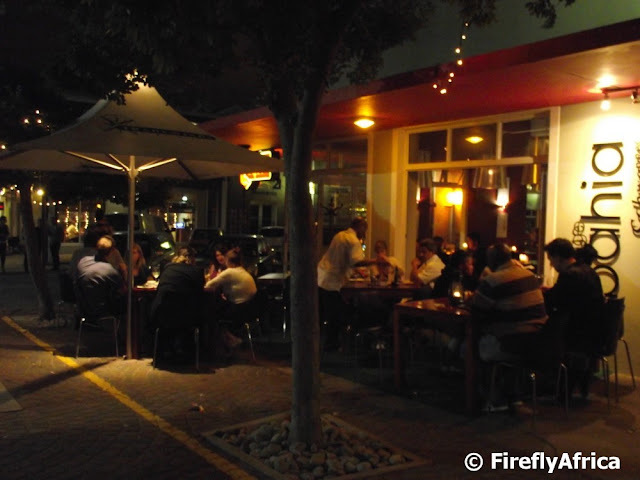 You order by the counter and the food get served in take-away containers either to be eaten outside or taken home. 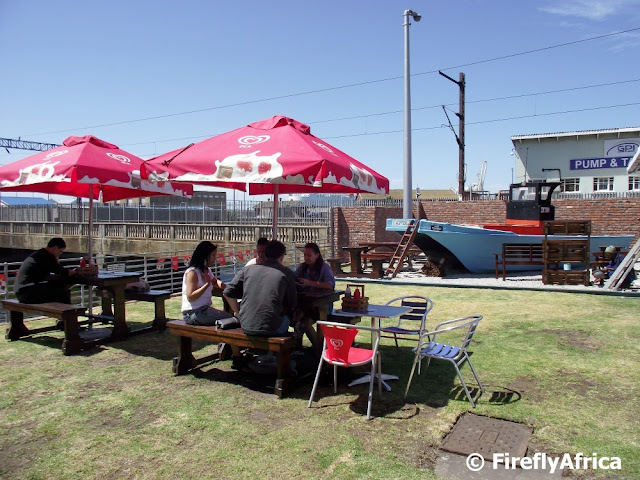 The outside seating is right next to where the Baakens River runs into the harbour while the food is traditional fish and chips as well as other seafood like calamari, prawns and sushi. Most importantly, its affordable. I will most definitively be back very soon. 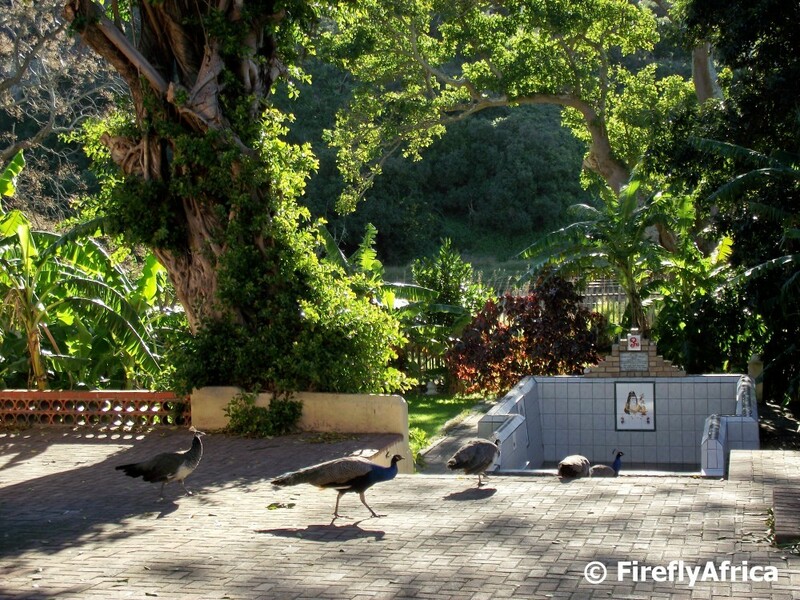 Do you ever wonder where the peacocks around the St Georges Hospital and Settlers Park come from? How did they get there in the first place? I have to be honest and say that I have never really thought about it until I recently visited the Shri Siva Subramanier Aulayam Temple in Upper Valley Road next to the Baakens Valley. Peacocks are associated with the Hindu faith in various ways while the temple has a number of permanent peacock residents. The temple has been around since 1901 so I'm just wondering if the peacocks up at the hospital aren't decedents of peacocks that have escaped from the temple grounds in the past. "If nothing is done to conserve the African Penguin then they will be extinct in only 4 years." Quite an alarming statement, isn't it? The buzz word may be rhino conservation, but I truly think that people should also start to seriously look at penguin conservation at the same time. 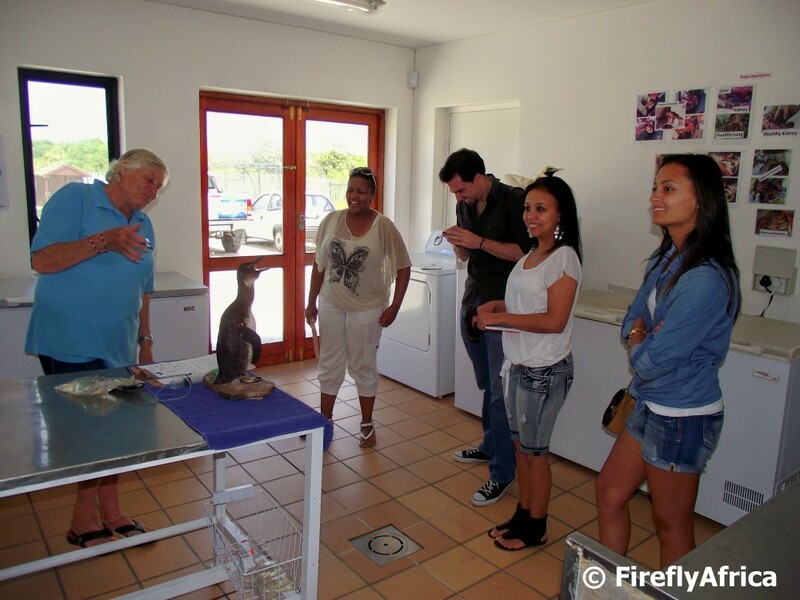 One place that does a sterling job here in Port Elizabeth with penguin conservation and who desperately need people to support them with funding as they support the rhino initiatives, is the South African Marine Rehabilitation and Education Centre. 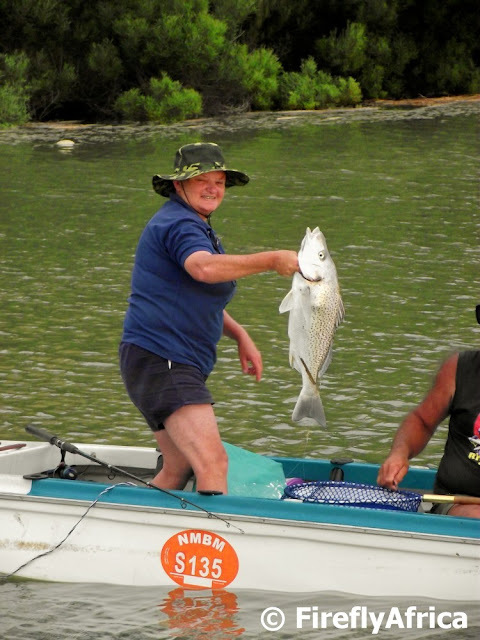 SAMREC are run by mostly volunteers and funding is needed for them to expand both their rehabilitation as well as their educational initiatives. 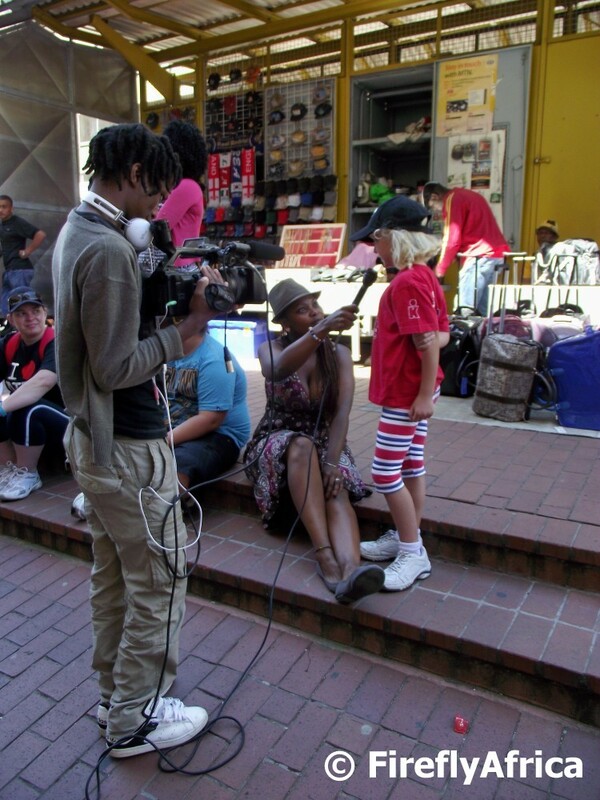 I try to assist as much as I can by including SAMREC in media and tourism trade visits to the city, but they desperately need so much more. In the picture Libby Sharwood, the Director at SAMREC is showing a group of representatives from South African Tourism around the facility. 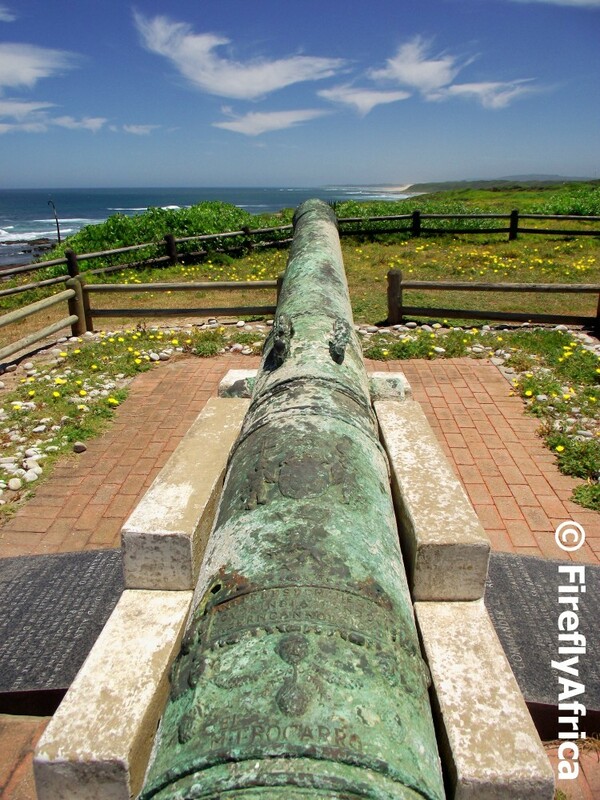 The cannon in Schoenmakerskop at the start of the Sacramento Trail is one of the cannons recovered from the wreck site of the Sacramento in 1977 and points towards the site where the ship went down in 1647. The Sacramento was a Portuguese Galleon on its way back to Portugal when it ran aground in a storm about 1 kilometer from where the cannon is mounted. 72 survivors made it ashore and had to walk from here to Delagoa Bay (present day Maputo in Mozambique) which is 1300 km away, with only 9 making it there alive.